I’ve been thinking a lot lately about my friend Stan. He was both a gentleman and a gentle man, who always had a smile, and a joke, and, more importantly, a kind word for everyone he met. He was born and raised on Prince Edward Island, Canada. He was a fiddle player it that old PEI style that is gone now. All the players have passed away and no one has taken up the torch. These were fiddlers who seldom recorded, almost never played outside of their own little community, in fact many of them never played for others outside their own kitchens. Stan was not a great violinist, but played with passion and enthusiasm, which is way more important to me that technical prowess. He took such joy in the music that, when his bow touched the strings, you couldn’t help but feel that same joy welling up inside your own chest. This is normally where I would post a picture, but my files and photos from those days are in such disarray that it would take me hours to find one. If you close your eyes for a moment and try to picture the man I just described, you know what he looked like. That was Stan. In the late thirties, he and his wife moved to Maine where they ran a little camp ground. When World War II broke out, he could have waited to be drafted into the Canadian Army, but that was not Stan’s way. He joined the US Army and volunteered for the Tank Corps. After training he ended up serving in Europe. By December of 1944 he was involved in the Battle of the Bulge. The Allied Force were trying to stop a major Nazi offensive, and were out manned and out gunned in every way. When the tank he was in was hit and disabled, with only his side arm, he fought his way to another tank that had lost a man. They pulled the body out and Stan took his place. When that tank was likewise struck and disabled, with ammunition taken from the dead soldier, he fought his way to yet another tank and replaced a dead crewman there. That third tank took a major bomb hit and was destroyed. When they were finally able to rescue Stan, the lower half of both his legs were left behind in the wreckage. He invalided in Europe and was sent home to Maine. Life in a wheelchair was not for Stan so he learned to walk with two prosthetic legs and the aid of a pair of canes, the kind that, if you are old enough, you might remember seeing people with polio use. I know that he was pain for the rest of his life, but he never showed it. The only time I ever saw him grimace was when he thought no one could see. He moved to Massachusetts, which was how I knew him. Sadly this man, this hero, this liberator who helped save the world from Nazi terror and oppression, died of a heart attack in the dentist chair at a VA center. This was years before we knew fully of the shoddy care afforded to our veterans by the VA. The reason I’ve been thinking of Stan lately is because I’ve been trying to figure out what I would say to him, if I could talk to him one more time. What I would tell him about what’s become of our country on our watch. I still don’t know. 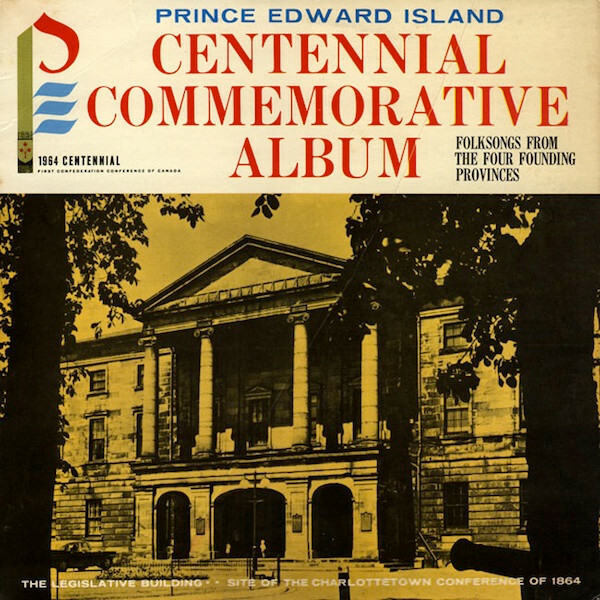 I’m posting this song “Prince Edward Island is Heaven to Me” in Stan’s memory. It meant a lot to both of us, he and I. He heard Hal Lone Pine sing it on the radio in Maine while he was convalescing, and it took him back to PEI for a few minutes. I saw Hal sing it at the Del-Sego Drive-In when I was five or six. I remember thinking at the time that I was going to go there some day, and, of course, I did. If I’m wrong about this religion thing, and if, after I die, through some theological loophole, I am allowed into heaven, if it’s just like PEI, I’ll be satisfied. Buddy, this one’s for you.